Candidates can get to know the detailed schedule for the examination based on the course for which they apply as the official notification is out. Counselling for admission will be conducted in three rounds starting from the last week of June 2019 until the last week of July 2019 for the final selection of candidates. The official notification has been released on the official website of UPSEE at https://upsee.nic.in. Candidates can check the notification from 23rd January 2019. There is no upper age limit for applying to UPSEE 2019. Candidates interested in applying to UPSEE will have to submit the application form online only. They can do the same by visiting the website of UPSEE at https://upsee.nic.in/. Before they fill up the application form, the applicants should check their eligibility requirement and the applicable reservation category as well before applying. Photograph: Candidates should keep a clear scanned passport size photograph in the size 3.5 cm x 4.5 cm in JPEG format. The size of the photograph should be utmost 100 KB. The photograph should be front facing with either white or off-white background. Signature: A clear scanned image of the signature of the candidate in 3.5 cm x 1.5 cm size in JPEG format with a maximum size of 30 KB. Payment of examination fee and printing of confirmation page. Once a candidate has all the documents ready as mentioned above, he/she should visit the website of UPSEE 2019. If they are applying for this test for UG course, they will have to follow the link “UP State Entrance Examination for UG (UPSEE-2019)”. If they are applying for a PG course, they should follow the link that reads “UP State Entrance Examination for PG (UPSEE-2019)”. When they click on the appropriate link, they will be taken to a page that contains the instructions for applying. Candidates are recommended to read the page carefully before they proceed with the application process. After the first two steps, candidates will have to move to the third step, where they will have to pay the examination fee. The fee can be paid online only using wallets/net banking/debit/credit card. The pattern of the UPSEE 2019 differs based on the course for which a candidate plans to apply. Candidates, who have applied for the test can download the admit card from the official website of UPSEE. Candidates will have to download it by providing login credentials. 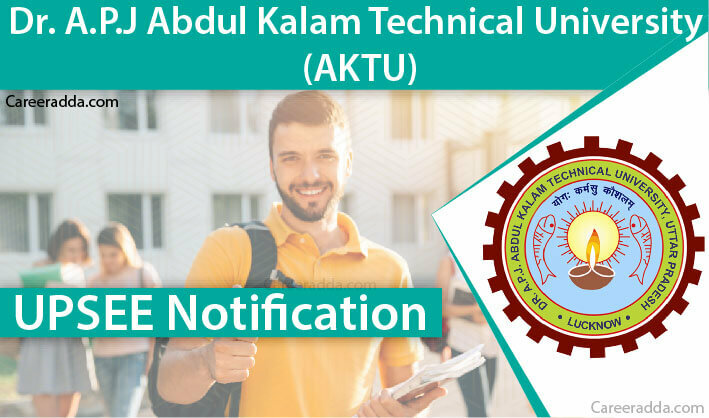 If any candidate is not able to find the admit card or if he/she cannot download it, a mail should be sent to upsee2018helpdesk@aktu.ac.in immediately. Candidates can expect the results to be released in the first week of June 2019. They will have to login to the official website of UPSEE to download their results and merit list. On the basis of 2018, the cut-off percentage of marks for the merit of successful candidates is expected to be around 25% for general category and 20% for SC/ST candidates. On the basis of the performance of candidates, separate merit list will be prepared for each course. Based on the merit position, candidates will be called for counselling for the final selection.